Vulnerabilities are everywhere. Knowing where they are is useful—but know which one will be exploited is much more useful. Security professionals need to focus on real threats plaguing today’s practitioners and provide up-to-date statistics on actual attack data. Where can they get such data? 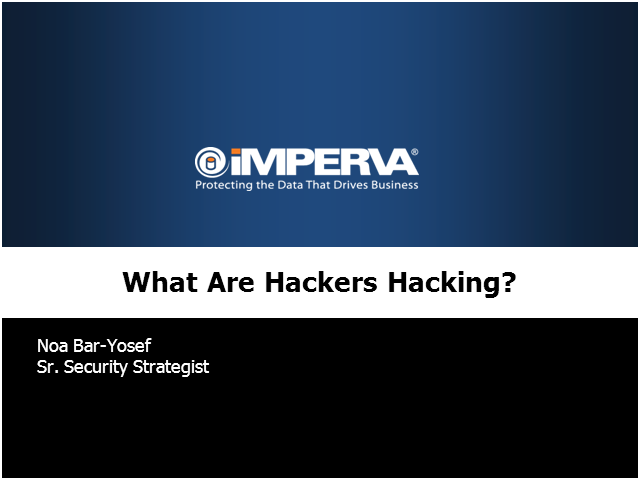 Title: What Are Hackers Hacking?